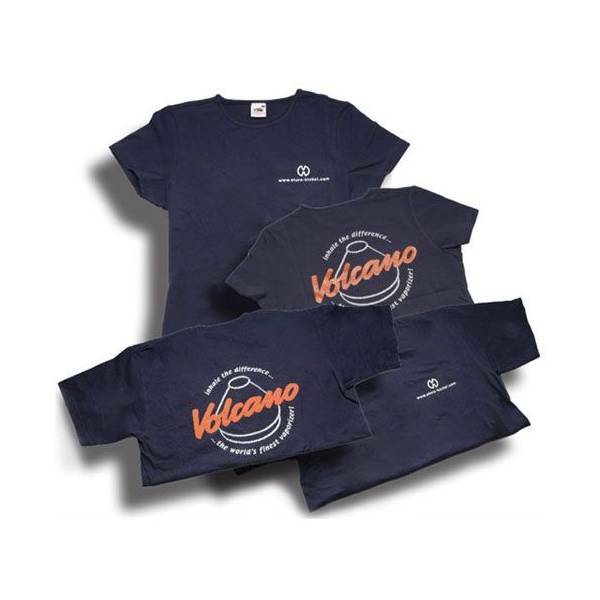 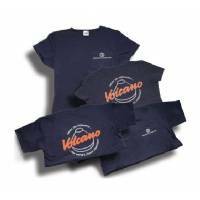 High quality T-shirt for women by Volcano ( 230 g/m²), dark navy. 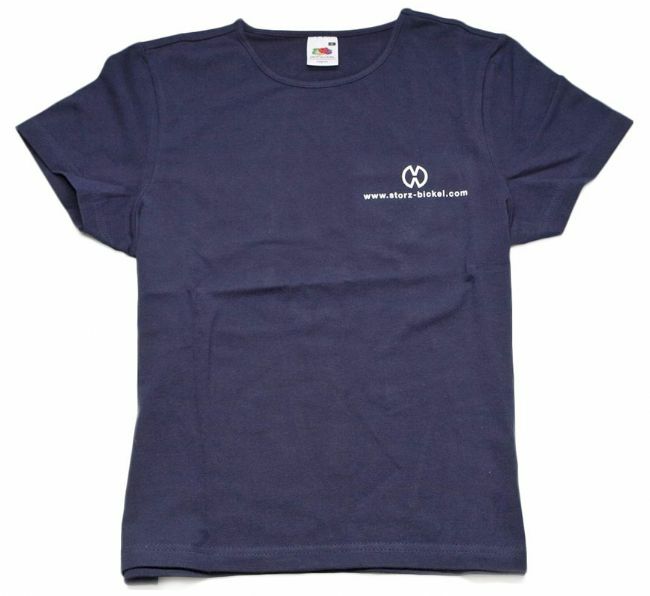 Back: as on picture. 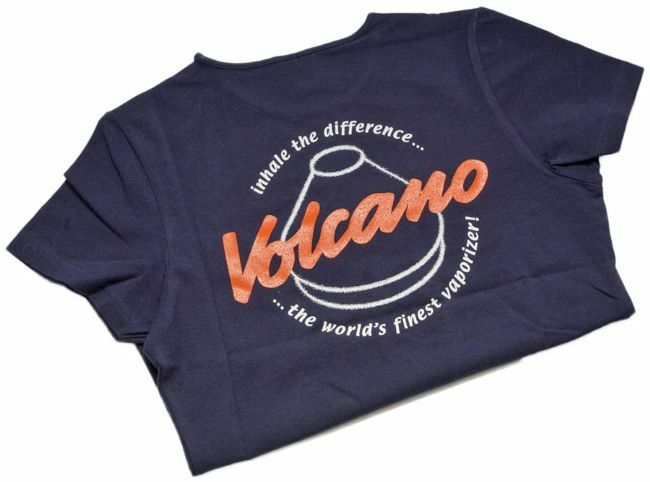 Front: with small Storz & Bickel logo on left breast.